Capwell Industries is one of the most diversified food processing enterprises in Kenya. The company has been a trendsetter in the Kenyan market and is setting its eyes on new products and new markets in the near future. FoodWorld Media had a discussion with the company’s directors about their business. Capwell Industries Ltd (CIL) prides itself in having pioneered new concepts in the milling industry in Kenya and the region. The company’s many firsts are indicative of the constant drive by the company’s founders to stay ahead of consumer expectations, act on customer feedback and to focus on future anticipated technologies and market requirements. Be it on packaging, formulations and processing technologies, CIL has been a trendsetter in the industry in the short, 17, going to 18 years it has been in operation. Hard work and focus permeate the entire spectrum of CIL operation. Food industry veteran, Dalichand Shah, who is the Chairman of the company, started the company, which is privately owned. The Chairman’s family has roots in Kenya over 100 years, after his father moved from India to Kenya in 1911. The 72-year-old patriarch of the Capwell group started his career in the industry in 1962 when he joined his brothers in the bakery industry where he remained until 1996 before starting the Capwell group in 1999. “One thing I always tell my team here is that they should make products that their own children will gladly take and enjoy. When you are a producer of food products, it is important to look at your products from this angle,” advices the Chairman, who despite his fairly advanced age is found at the mill everyday, always at the factory floor, monitoring operations and mentoring younger staff. “CIL started off with maize milling in 1999, installing a 240 tonnes per day (TPD) plant to start off,” says Chetan Shah, the Sales and Marketing Director. The company is based in the industrial town of Thika, about 45 km from Nairobi. The company’s operations go beyond maize milling, a fact that separates the miller from its peers, which mainly concentrate on either maize or wheat milling exclusively. The company also mills rice, porridge flours and pulses, using the best processes & technologies available, in its quest to cover the entire grains business. It also imports spaghetti and pasta products for sale distribution in the country. The company’s Best Cook wheat flour is outsourced from a miller, packaged and sold through its distribution channels to its customers. “Four years since the company commenced operations, we expanded our business into rice milling in 2003. In 2007 we introduced porridge and pulses product lines. Our operations are currently based on milling of maize, rice, pulses and porridges, imports of spaghetti and pasta, and locally sourced wheat flour,” Chetan Shah explains. 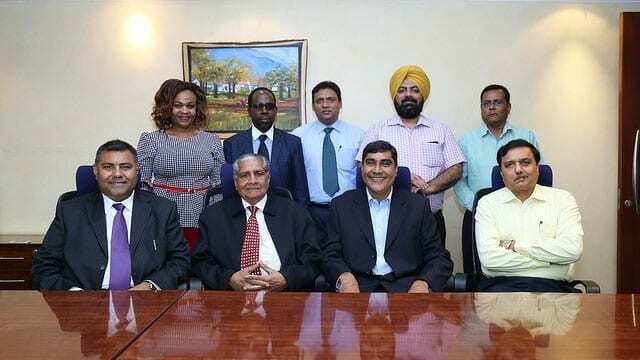 “The company has grown fairly fast from 1999, driven by the growing customer demand for grain products in Kenya,” according to Chetan Shah. “We are proud to say that we are a multi-billion shillings company at the moment,” he adds. The company’s growth has not been a walk in the park. “It is really being the result of hard work, hard work and more hard work,” the company’s Chief Executive Officer, Rajan Shah, informs us. “We have always strived to listen to the customer because the customer is our pillar. Whenever we talk to customers who give us new ideas or wants, we always come back to the factory where we ask ourselves as a team how we can meet that customer’s need. I feel that as time passes, the needs of the customers are getting more sophisticated. The critical things for our customers are wholesome nutrition, vitality and health and these are the key aspects that are important to every family, and this is what every individual or family wants. So if we can meet these needs, we feel that we shall meet our goals as well,” explains Chetan Shah. “Over the years we have grown our capacity to nearly 400 tonnes per day (TPD) of installed maize milling capacity. Our milling capacity of rice is presently 100 TPD, for porridge flours is 60 TPD, while the pulses range has 100 TPD capacity,” Rajan Shah explains. The company operates two maize milling plants, a 270 TPD plant and a 120 TPD plant that it acquired from a neighboring miller, few years ago. The company has invested heavily in modern and technologically advanced milling systems and superior packaging machines for its products portfolio. 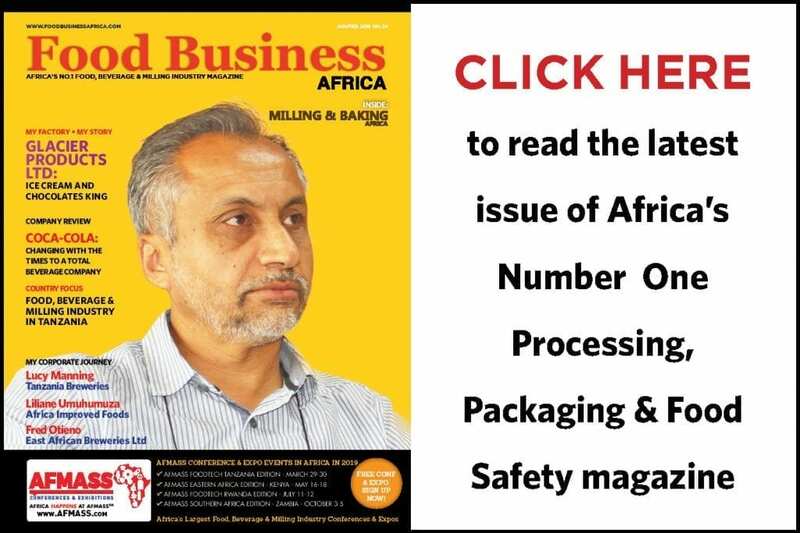 “In today’s competitive and regulated milling environment, we combine the latest technology which have boosted our investments in processing equipment, material handling and plant automation to ensure product quality and food safety,” the company Head of Business Mahesh Chavda explains. The company has installed highly efficient milling plants, which are run by a team of qualified engineers and production personnel, he adds. The company receives the bulk of its raw materials by road from Kenya. In the case of rice, a significant quantity is purchased in form of paddy from local farmers. The grains are then sampled and checked by quality control staff for compliance with Kenya Bureau of Standards (KEBS) and company standards, after which they are received into storage. “At the commencement of the processing of the grains, the grains are cleaned to remove any debris, stones and other foreign matter, including in the case of maize, grains that may be affected by Aflatoxins that might have come through during receipt. Through metal detectors that are installed on the lines, we ensure that any pieces of metal are removed from the grains, before the grains are either packaged (in the case of pulses) or proceed for tempering and further on into the milling operations,” explains Roni Painter, the Production Manufacturing Head. The milled flour is then blended through an online dosing system with fortification agents, that include essential vitamins and minerals, ensuring that the flour meet regulatory requirements. The flour is then passed through a high impact machine that destroys any insects and their eggs, ensuring product safety during storage. “We have invested in our quality control process, be it in equipment and people to ensure that the raw materials that we are receiving are safe, the process of milling is safe and the end products are safe,” the CEO, Rajan Shah explains. The company has an internal quality control laboratory that is manned by 8 quality control officers with the right skills and experience in the grain industry. Presently the company is in the process of being awarded the critical HACCP certification, adding one more feather of success to its focus on quality of products and processing systems. However, the CEO, Rajan Shah, urges that there is need to look at the agricultural value chain further by the Government and other stakeholders to boost local production and quality of grains. He also advises that the issue of Aflatoxins requires the improvement of post-harvest practices across the supply chain. “As a country, we need to sort out our agriculture. We need to improve on the predictability of availability of raw materials. Every year, we are always worried as to where we shall source our maize and rice, considering that Kenya imports about 80% of its rice and continually imports maize from neighbouring countries. We should ensure self-sufficiency in production of maize and other grains within our borders and not rely on imports,” the CEO Rajan Shah urges. The company is keen on building relationships with trusted suppliers. To support its contracts with rice farmers and other grain suppliers, it makes prompt payments, and gets involved with them to the extent of helping the partners to improve their own businesses. “For instance, we educate our rice farmers on the need for quality produce and support them to ensure the final produce meets our requirements,” says the CEO, Rajan Shah. “Innovation is one of our key values as a company and is one of our key critical success factors,” says Rajan Shah, the CEO. “Our focus on innovation is not only in terms of the product, but in terms of the people and processes as well. As an example, we were the first company to start producing fortified maize meal in the region in 2001. This was a time when it was not mandatory for millers to fortify maize meal but we felt that there was a proven need to boost the nutritional profile of the flour, and that of our consumers. This has since been made mandatory in Kenya, 15 years since we introduced the concept,” he explains. The company’s Pendana fortified maize meal was introduced in 2001, and was a differentiated product from the rest in the market. “On packaging, we were the first to introduce the 5kg and 10kg family packs in 2001,” he adds, referring to the company’s popular Soko maize meal brand that has a commanding share in Central and Nairobi regions of Kenya. CIL was also the first miller to introduce white outer packaging in the maize flour market, packaging its Pendana brand in white packaging, when all the brands in the market were still using brown packaging. “In the rice area, we were the first to introduce laminated packaging that is more attractive and more functional; delivering a product with superior shelf life to our customers. Before that rice processors were using polyethylene packaging. “In process innovation space, we realized early on that consumers of rice took a lot of time before cooking the product due to the presence of a lot of foreign matter in the rice. We introduced new cleaning equipment that did away with sorting by the user before cooking the rice, saving our customers valuable time, and delivering a safer, more convenient product. 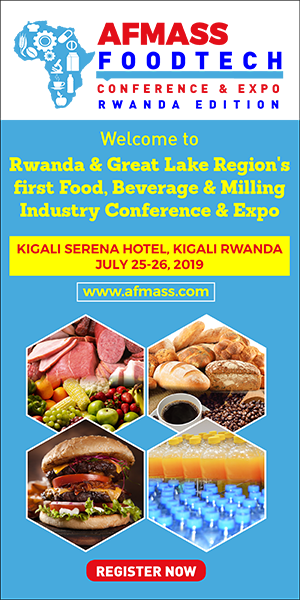 “Our innovations have also enabled us to make our processes more efficient and to deliver better food safety, including improving testing methodologies that reduce Aflatoxins and other contaminants,” the CEO added. “The introduction of clean rice that mothers out there would only need to wash and cook can be considered one of our key milestones as a company. We believe that it is through some of these actions, which we have initiated over the years after listening to the customer, that continues to place us at a good standing with the customers, and are critical of the success we enjoy currently,” comments Chetan Shah, Sales & Marketing Director. The company, in operation for less than 20 years, is proud of its range of products and the markets it serves. The company has over the years managed to provide its products to the majority of locations in Kenya, with the product available in major supermarkets, medium level supermarkets and kiosks. 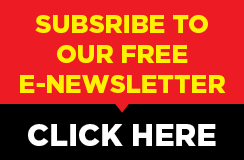 With strong partnerships with leading distributors all over the country, the company appreciates the great contribution its distribution partners have played in its success. The company’s products are also to be found in neighbouring countries in East Africa, especially in certain outlets in Uganda and Rwanda. “It is our intention as a company to expand our coverage into the wider Eastern and Central African region, in line with the vision of Kenya by expanding our exports markets in a major way,” Chetan Shah informs us. According to the Chetan, the company is a customer-focused organisation. The company values its customers and is committed to providing quality service and being responsive to customer needs and wants. “Our brand promise has been to offer consistent quality to our customers,” he says. CIL is the leading producer of maize meal in the Central Kenya and Nairobi region. “Our Soko brand has a strong lead in this particular region, driven by our focus on this area,” states Chetan Shah. The brand also has strong brand awareness across the country. 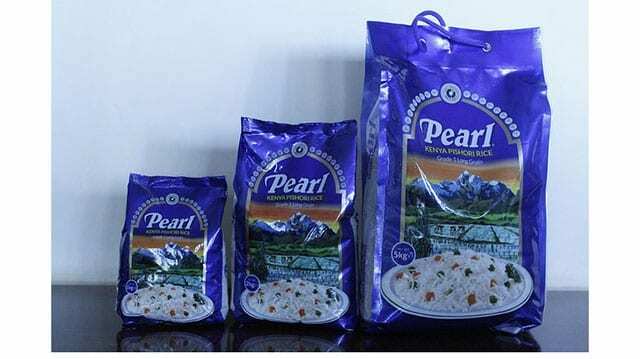 In the rice product category, the company has a number of rice varieties and brands: Pearl Kenya Pishori Rice, the flagship Pishori brand, has gained over the years popularity in Kenyan homes, credited with delivering the brand promise and commanding a leadership position in the Pishori segment. The company’s CIL Long Grain rice and the Ranee Family rice range (Ranee Premium Basmati, Ranee Classic, Ranee Chef Special Basmati, Ranee Every Day and Ranee Biryani Long Grain rice) offer great cooking presentation properties. The company also has an extension line to spaghetti and pasta products under Ranee brand packaged in 400gram packs. 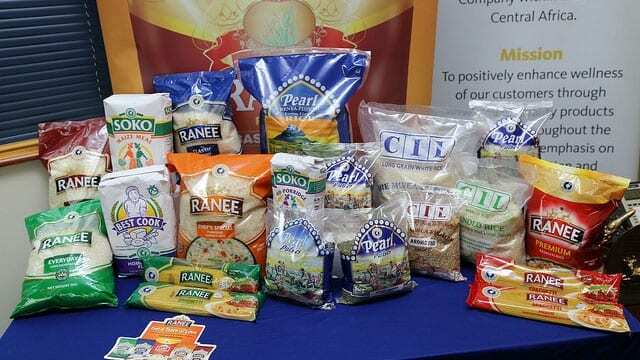 The company is proud of its leadership position in the Pishori rice category in Kenya. The rice products are available in white and brown options, and various packaging sizes, from 1kg, 2kg, 5kg and 10kg offering choice and variety to consumers. The company also has a growing list of packaged pulses packaged in 500g and 1kg packs. These pulses include green grams, locally known as Ndengu, masoor dal (Kamande), cowpeas, black beans (Njahi), red beans, pigeon peas, popcorns among others under the Pearl Brand. During processing, the pulses are sorted and cleaned through the latest SORTEX technology that delivers clean, wholesome and nutritious grains that meet rising consumer needs in the region. The porridge line consists of two varieties, Pure Wimbi and Wimbi Mix under the Soko brand name, offering wholesome nutrition & goodness to the whole family anytime. The company presently employs about 400 people, a feat that the company is very proud of, impacting a total of 2,000 people through its supply chain, from the farmers from whom it sources the raw materials to the factory employees, to those involved in the distribution of its products. “Our Chairman, who has been working in the food industry since 1956, started the company and has been vital to its growth. Over the years, we have made great strides in growing the company, and are very proud of our most important asset: the people we work with here. However, we have recently made moves to professionalize the management of the company,” the CEO, Rajan shah informs us. “The shareholders are beginning to give the day-to-day management of the company to those who are good at what they are trained to do. We recently brought in a new role into the business, introducing the Head of Business function, which is headed by Mahesh Chavda, who is the overall head of the company. Below the Head of Business, there is the senior management team that heads various functions: Human Resources, Finance, Production & Manufacturing and Sales and Marketing. At the operational level, we have middle level, line management and supervisory staff. The team headed by Mahesh Chavda will run the operations and report to the executive Board, improving the management strength of the company,” the CEO adds. CIL is well involved with community initiatives. The company has always supported and contributed towards the annual Shah Free Eye and ENT camps across Kenya for many years. They have also initiated a feeding program with its Soko porridges to primary schools in the locality. The company is also involved in sports partnership and education sponsorship through bursaries to a number of children. The company is looking up to a bright future. “We are excited for the future, but we also cognizant of the fact that the consumers are more knowledgeable and asking for more. The consumers are asking more of manufacturers like us in terms of better, more convenient, safer, nutritious and healthier products. “We have future plans to grow our capacities and to also venture into milling of wheat flour, which will complete our portfolio in the overall grains sector. We plan to cover the entire range of the major cereals consumed in the country,” says the CEO. “We are also considering listing of the company at the stock exchange to expand the ownership of the company. We have no definite timeline for now, but we have key goals to deliver, and in 5-10 years, we could list the firm. Of importance is that we need to be of a certain critical mass to list the company,” he says. The company, in line with its mission and vision, will continue to deliver wholesome, nutritious and convenient products. “We are looking at further value addition of our raw materials, where our present products serve as raw materials for extra value addition, by using better technologies to deliver better value to our customers. For example, we have seen in some countries an improvement to the processing of maize flour to deliver ugali (a local staple, made from maize meal, that takes about ten minutes to prepare) that takes less than a minute to prepare. This could deliver a more convenient and more value to customers,” notes the CEO. “All our questions of the future will be answered by how the consumer needs will be addressed. Vitality, health and time are of essence to every consumer. If we can deliver for example, ready-cooked rice that can go directly into a microwave, the consumer will find more value. If we can provide more variety of food products, people these days are also looking for choice. With growing consumer needs, our questions will be answered,” advises Chetan Shah. CIL is planning to be in the business for many more years to come, and is willing to work with other stakeholders to improve the local community and the country, beyond meeting its corporate goals, says the CEO. “We are proud of our vision and will ensure that we shall continue to drive more value for our customers, grow to greater heights as a company, while sharing the enhanced prosperity with our suppliers, the community and other stakeholders,” concluded the Sales & Marketing Director. Vision: To be the preferred benchmark food and beverage company within East and Central Africa. Mission: To positively enhance wellness of our customers through provision of quality products and services throughout the value chain, with emphasis on continual innovation and diversification.